Joyce Campbell's latest cinematic project,The Reef, explores an analogy between two dying forms: the redundancy of analogue film and the threatened status of climate stressed environments. The exhibition's name derives from a moving image work which reframes 16mm film footage of waves breaking on an endangered coral reef in Fiji shot at dusk. Campbell has repurposed an optical printer to degrade the surface of the film with grit and sand as it is scanned to high resolution digital video file. 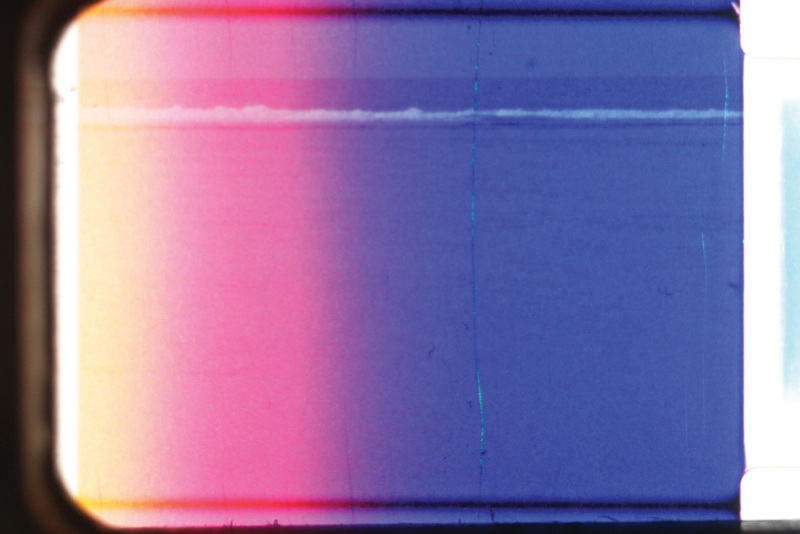 As the image is captured over time the film becomes scratched to the point where it breaks down. The Reef is a kind of eulogy of film on film, as well as a call to protect the natural environment, the foundation upon which all technologies rise and fall.